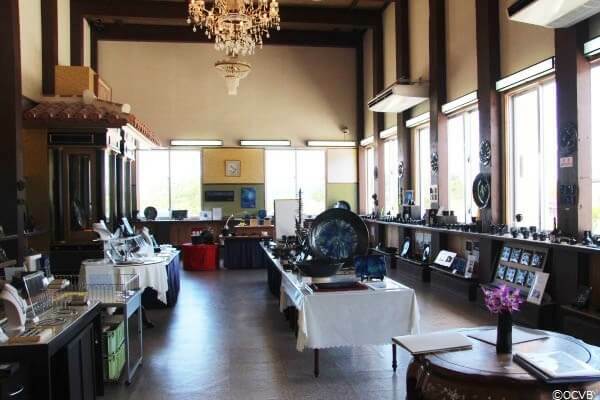 Ishigaki Island is located approximately one hour by air from the main island of Okinawa. 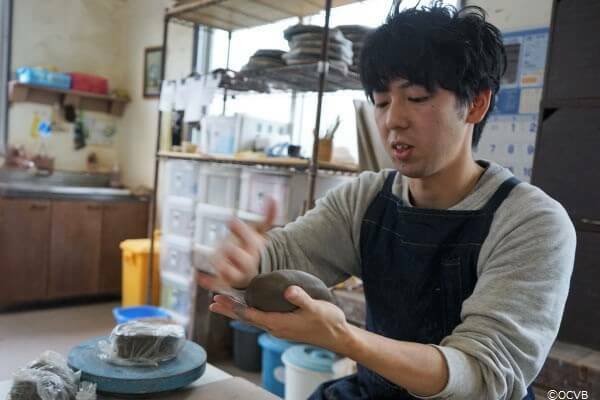 The Ishigaki-yaki pottery from this small island was awarded the gold prize in two categories for ceramic works at the Carrousel du Louvre, hosted by the French National Society of Fine Arts and held at the Louvre Art Museum in Paris in December 2015. This was the first time for such an achievement in French art history. 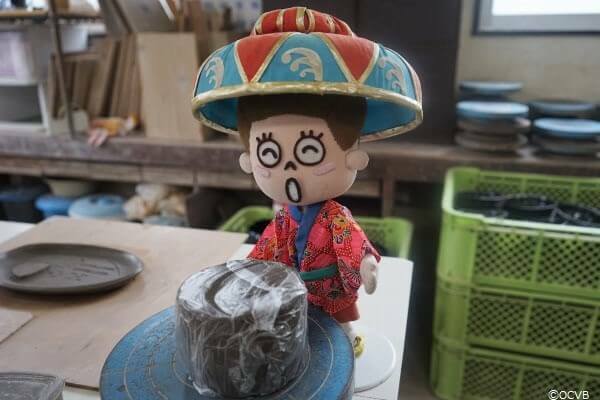 Ishigaki-yaki pottery is a rare form of pottery that incorporates glass, and is derived from the traditional Japanese style of black Yuteki Tenmoku (silver spots over a solid black background). 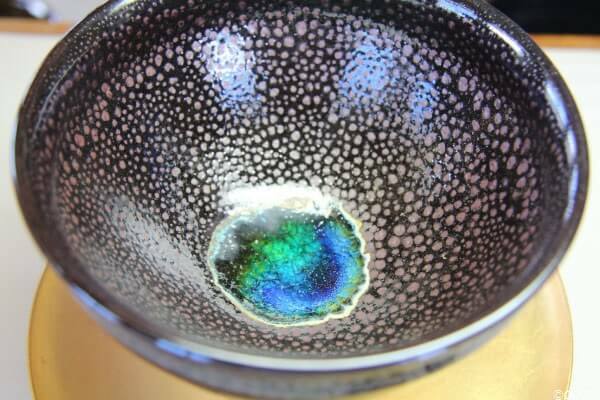 Unlike the common method of applying color to the glass, a glaze coating that contains mineral-laden ore found on Ishigaki is applied, followed by a clear coating of glass. 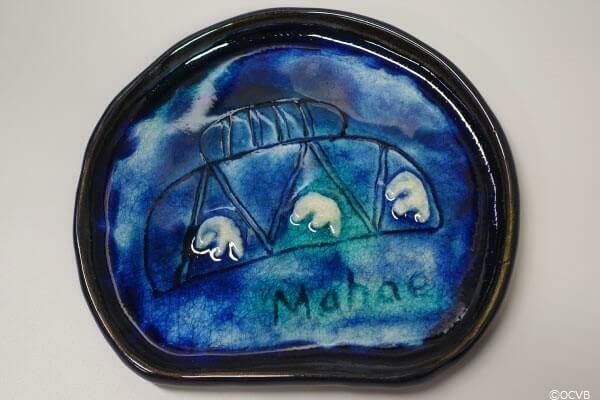 The pottery is then baked, causing the minerals to absorb into the glass and naturally turn the surface color into unique shades of blue. 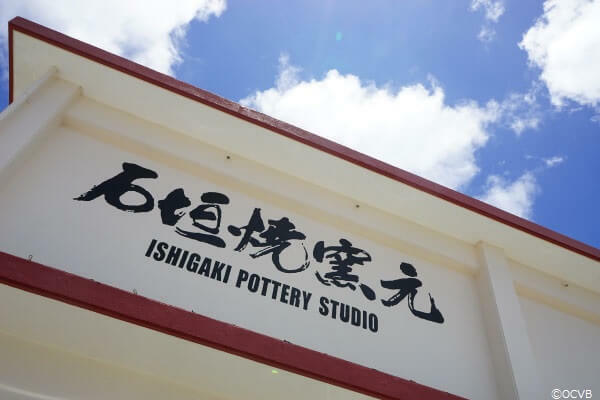 I visited the workshop where they hold classes for people to experience making their own Ishigaki-yaki. After enjoying the pieces of art shown in the gallery, we headed to the workshop next door where pottery classes take place. First, the teacher showed us exactly what to do while explaining all the different processes. 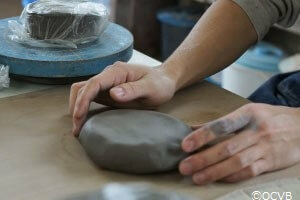 Clay is used as the foundation. 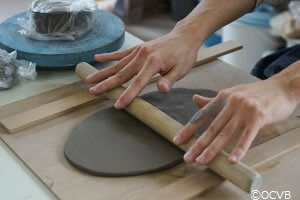 First, cut the clay in half and then flatten it out by hand. Then, roll it out thin using a rolling pin. 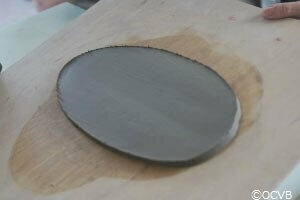 When finished, use a mold to cut out the shape. 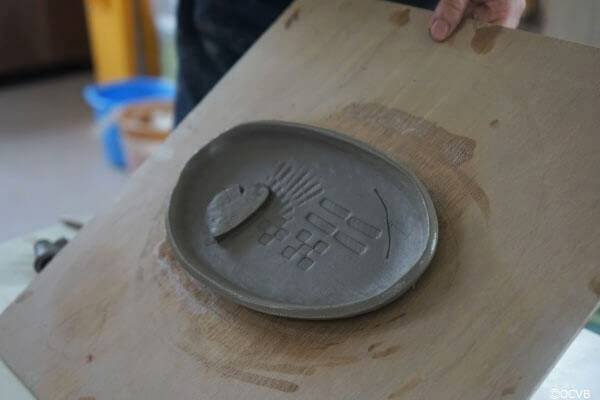 As well as the oval mold used by the teacher, there are also circles, squares, and even manta rays! This is the rough shape of the pottery piece. Pinch the edge with your fingers and shape it so that the edges become raised. After the basic shape is complete, the next step is to design the inside. 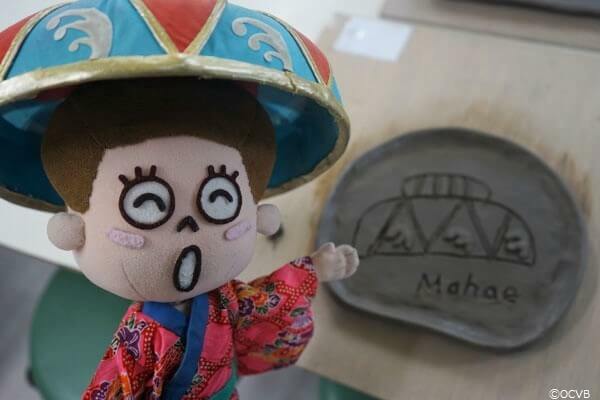 Draw the design using tools such as pencils and stamps, or use excess clay to add more shapes! And the teacher completed his demonstration! 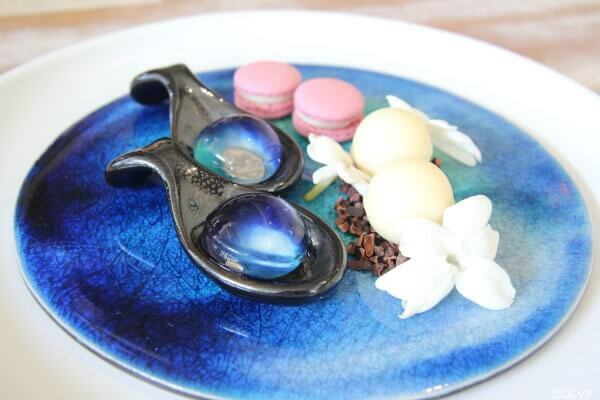 The areas of the dish that are pressed down will be filled with more glass than the other areas, which means the color will be unique. I also had a go at making my own dish! The teacher is there to help and answer any questions. 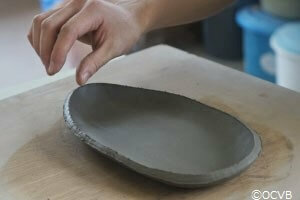 Once the design is complete, the artists at the workshop bake the dishes to complete them. A few months later, my artwork arrived! 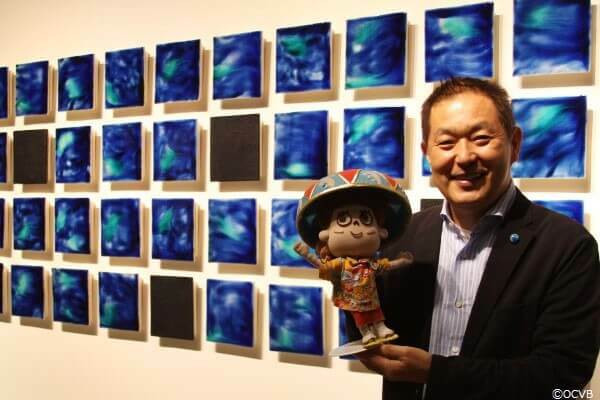 The beautiful glass glitters like the island’s beautiful blue ocean. 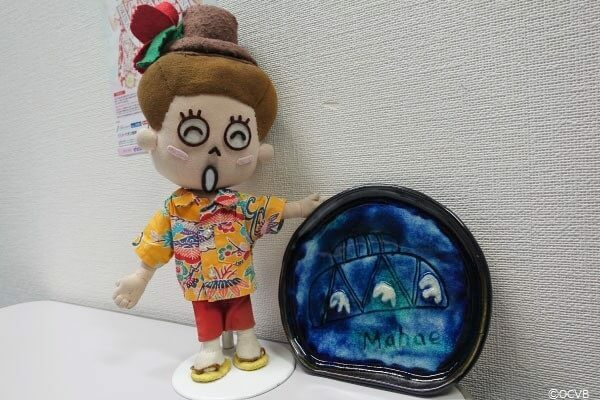 Why not have a go yourself when you next visit Ishigaki Island, and have fun making artwork full of memories! 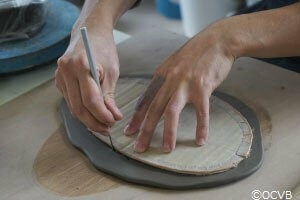 ※Depending on how busy the workshop is, it may take up to six months for your artwork to arrive.